Home » FAQ » Are Double Hung Windows Really Secure? A burglar always goes for the easiest point of entry first. If all the doors are sturdy and locked, his next option will be your windows. And even if you lock your windows every night, that may not be enough to keep a burglar out. Our windows are made with two sheets of high-strength glazing, much more durable than your parents’ windows that would break if you threw a tennis ball at them. Each window pane is separated by a pocket of gas. This gas pocket pushes out against any force that tries to break in from the outside. 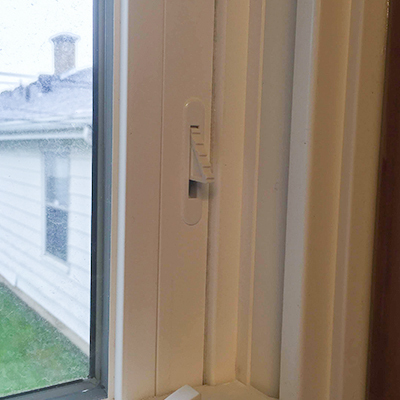 Located a few inches above the top of the bottom sash, you can pop out these spring locks so that the window can only be raised up a few inches. This way, it’s extremely difficult to get the leverage required to jerk the window up rapidly. Also a great way to keep a window open without worrying if a child will open it more than a few inches. You probably check these locks every night when you secure the house before bed: they’re the turn-locks that secure the top sash to the bottom sash so that neither can be opened. Advances in vinyl window technology in the past ten years have made this material many times stronger than it used to be. The frames that surround your glass are built with a chambered internal structure. These repeating geometric shapes within the frames make them resistant to any kind of forces. The same idea is used in the building of radio towers or skyscrapers to resist the sways due to wind. 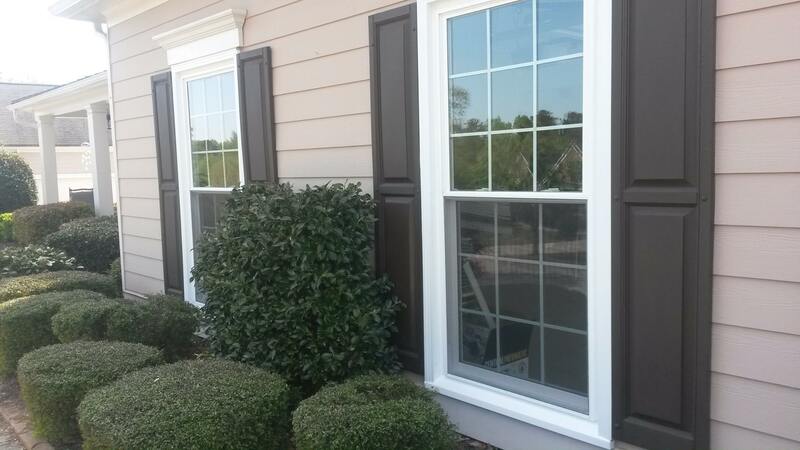 All four of these features come standard with every window from the Window Source of Atlanta. If you’re worried about the security of your current windows, give us a call now at (470) 275-5159 or get a quote online for your home now.